The Dustin and Stacey Show! : It's Official!!! So folks, it's finally official! 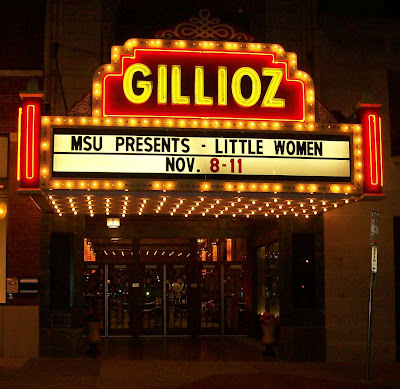 the Gillioz Theatre in downtown Springfield, Missouri. this very cool theatre before 6 months in advance to the event. and we went in and signed the contract. Here is a link to a virtual tour of the theatre. Check it out! It's so neat! We are very excited!!! Yay, time to party! 6 months will be here before we know it!